Creating a color scheme that works is essential in good design and art. There are books filled with inspiration, color theory, color trends and more. However, you can save the time scanning through books and hop online and check out website that will help you with color selection and will also provide some fresh inspiration and thoughts on the latest trends. The only drawback about online color resources is that they are not a true match to print (unless you have the CMYK or Pantone number) since different screens have different resolutions and settings. 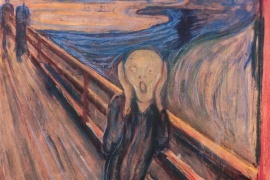 The only way to insure perfect matches with print color is using a Pantone book. Adobe Kuler has graduated from a simple web-based colour tool to a fully fledged theme generation and sharing resource. Plugins are available for all the main Adobe tools including Photoshop, Illustrator and InDesign, making it a great integrated tool for regular Creative Suite users. 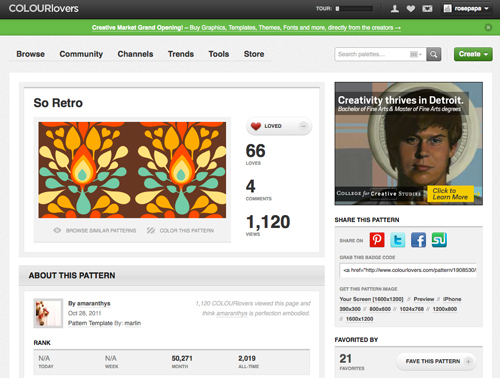 COLOURlovers is a community designed around the sharing and appreciation of colors, palettes design and patterns. Similar to Pinterest, it provides a easy way to share your inspiration with other color lovers. 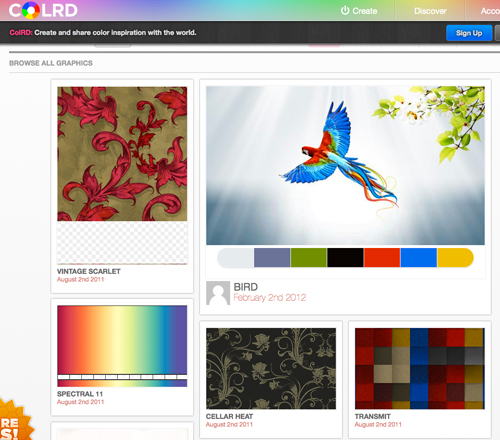 COLRD can be a source of inspiration as you discover color palettes, designs and patterns generated by its users. Similar to Pinterest and is a pool of visual stimulation. 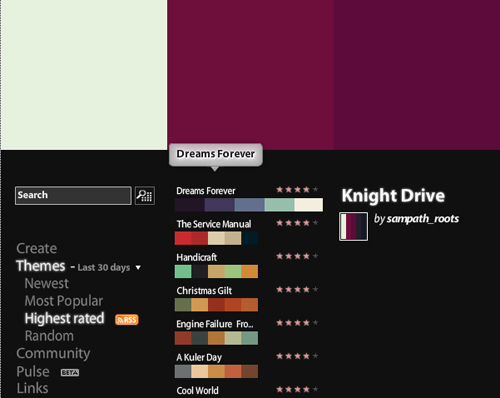 ColorHunter is a fun way to explore new color palettes from images uploaded by users. 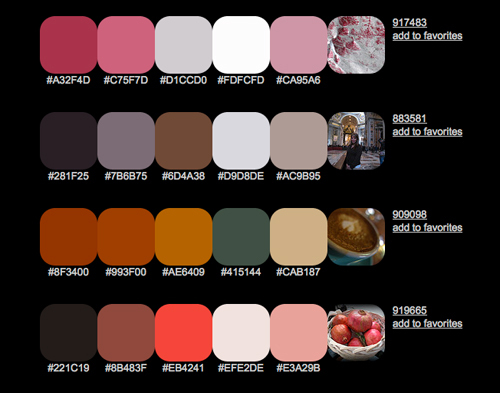 It’s quick to use and its more about the ‘hunt’ of new things than a color generator tool. 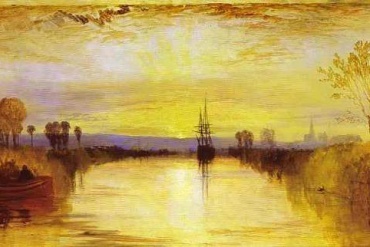 There are a variety of other tools online for color. The above are just a few and my personal favorite when looking for inspiration is Color Lovers.